eBay vs Amazon: What's the difference? How to create great product listings? Selling on Amazon vs eBay: Which Website is Better and Why? Discover which marketplace is best for your online business by looking at the pros and cons of the world’s most popular eCommerce platforms. Where do you want to list your products? I’ll be focusing on Amazon and eBay for the majority of this guide, but there are a few other options I’ll mention as well. Without further ado, let’s dive in. The two biggest contenders for online retailing are eBay and Amazon. Both have millions in sales every year, both get hundreds of thousands of eyeballs every day, and both host almost every product you can possibly think of. Amazon is said to have more than 300 million active users and two million sellers, while eBay has close to 180 million users and 25 million sellers. One of the most well-known differences between these two behemoths is eBay’s auction style (as opposed to a fixed price listing). Basically, you’re able to list your items at a very low price, and consumers bid to buy the product. The highest bid when the time runs out, wins. Amazon, on the other hand, simply lists items at the price they sell for, and that’s that. Overall, this isn’t a huge difference, simply due to the fact that you should almost always be listing your items at a fixed price, regardless of the marketplace you choose. Auction-style is much less reliable and is more for people selling one-off items around the house. Amazon fees vs eBay fees: Who has the lowest fees? One of the most important considerations when deciding between eBay and Amazon is how much it will cost you. I’m talking about the fee you’re charged for every sale you make. Amazon and eBay both charge a fee any time you sell something on their platform, but the exact amount you have to pay might differ between the two platforms. Every time you pay a fee, you’re eating into your profit margin so it’s important to do the math and see which delivers the best bang for buck. eBay let’s you list 50 items for free each month. After that, you’re charged $0.35 per listing. They charge a 10% final value fee for most items, but there are exceptions. For instance, if you sell a guitar, they only take 3.5% of the final value of your sale. See the full guide to fees for selling on eBay here. Amazon’s fees are higher than eBay’s. As a professional seller, you pay a monthly subscription of USD $39.99. There’s no listing fee, but Amazon charges a referral fee for each sale you make. In most cases, the referral fee is 15% but it varies depending on the type of product you sell. Media items, such as books, music, video games etc, incur a closing fee of $1.80 per item. If you decide to use Amazon FBA service, which I explain below, there are additional fees to cover the storage, handling, packaging and shipping of your products. See the full guide to fees for selling on Amazon here. Which platform offers the best seller tools? Both of these platforms pack a fair punch when it comes to the range of extra tools and services they provide for sellers. However, the main one that sets them apart if Amazon’s Fulfilled by Amazon (FBA) service. What is Amazon FBA and How Does it Work? You may want to pick Amazon specifically for this reason, because storing your own inventory can be a huge hassle. For more information on FBA, check out Amazon’s help center. I’ll also talk about it a bit more in the advanced tips section below. Amazon also provides sellers with a suite of tools that you can use within the platform such as business reports, which provide insights into your overall sales, traffic, conversions etc, and promotions which you can use to push inventory or take advantage of seasonal or holiday sales. See all of Amazon’s seller tools here. eBay has a range of tools to help you create, manage, and promote your listings. There’s the Seller Hub, which is the central dashboard for running your eBay business, as well as Selling Templates to simplify your listings, and the eBay mobile app. Which Site Has More Shoppers and Market Share? Amazon is said to have 310 million active customers and 200 million visitors a month. It’s the world’s third-largest retailer behind Alibaba and Walmart and accounts for close to half of all eCommerce sales in the United States. To put simply, Amazon’s market share is massive. eBay is said to have 167 million active users. However, the website only accounts for around 7 percent of eCommerce sales in the United States. Based on these numbers, Amazon has more users and a much greater market share in the ecommerce space, but eBay still has a significant customer base. Both of these platforms are high-competitive marketplaces and it takes careful planning and execution to succeed. However, if we’re just looking at the numbers, Amazon seems to come out on top again. It’s estimated that Amazon has about five million active sellers, while eBay has about 25 million sellers. 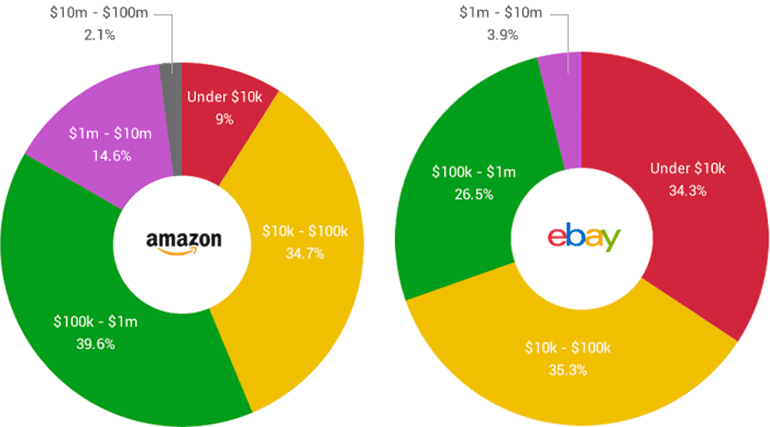 Based on those figures, eBay looks to be five times more competitive than Amazon. But it’s not that simple. It’s not known how many sellers on eBay are just individuals who occasionally auction off household items and how many are established businesses. Whereas, on Amazon, you’re competing with highly successful companies, including Amazon itself (the company owns more than 80 private label brands). Competition is about more than just the number of sellers on each platform. You need to do your own market research to see how many sellers are active in your niche. While Amazon seems to have the edge here, it’s still possible that your business is more suited to eBay. Just because Amazon and eBay both have millions of customers, doesn’t mean these customers are all equal. Due to the original auction-styled nature of eBay, many of the visitors to eBay’s platform are more price-conscious. They're looking for bargains. You might find they're unwilling to pay any kind of premium. If you can access wholesale products at crazy low prices, or you’re flipping secondhand goods that you pick up at yard sales Gary Vee-style, eBay might be the perfect platform. Amazon customers, on the other hand, are less likely to be in the bargain-hunting mentality. They're usually more willing to shell out a few extra dollars because they trust the platform. Many of them have a membership to Amazon Prime, which makes them psychologically more committed to Amazon. 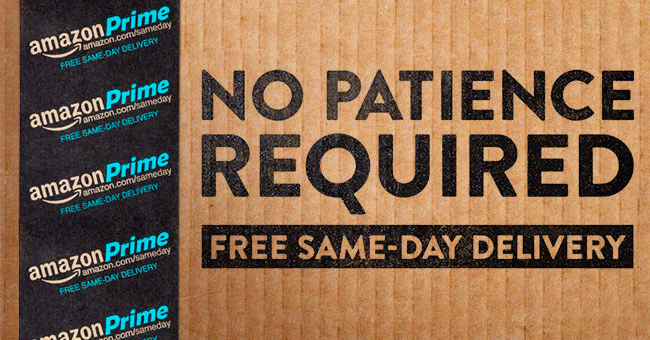 What Restrictions Do eBay and Amazon Impose? eBay Seller Limits: What are They? eBay has seller limits that are designed to stop illegitimate sellers from taking advantage of the platform. It doesn’t publicly release its seller limits, but new sellers are generally capped at 10 items and $500 of sales per month. As you prove yourself a trustworthy seller and are comfortable with meeting buyer demand, eBay will increase your limit. It’s not designed to put a limit on your legitimate business, but more to keep dodgy sellers out. eBay also has controls in place for prohibited and restricted items, so make sure your products aren’t on this list before you get started. There are also listing policies around images, text, links, and accuracy that you need to comply with in order to sell products on eBay. Amazon restrictions: What are they? Amazon also has extensive listing restrictions, which require the claims you make in your listings to be accurate and compliant with all relevant trade regulations. You can’t sell goods that claim to cure or treat diseases, or make false claims about the environmental benefits of your products. Really, it’s just about being honest and thorough with the information you provide on your products. There are also restrictions on the types of products you can sell, such as alcohol, dietary supplements, weapons, and even electronics. It’s important that you check for any restrictions on the products you intend to sell on Amazon prior to striking a deal with your supplier. While Amazon and eBay are the biggest and most well-known online marketplaces, there are plenty of alternatives if you’re not willing to sell on those giant websites. Etsy is a great marketplace for any retailers looking to sell handcrafted or vintage (>20 years old) goods. However, your goods need to fit the hand-crafted or vintage criteria, as Etsy is pretty quick to ban vendors who don’t follow their rules. Etsy is predominantly for small-scale merchants who handmade their items by themselves. However, some merchants do sell items which are handmade by their suppliers. If you want to do this, you’re required to disclose the relevant information in an application to Etsy; following this, your application will be reviewed, and either approved or rejected. Jet.com is becoming a new major player in the online retail world. They seemingly appeared almost overnight, and have quickly become a big threat to both eBay and Amazon. They are getting a lot of traffic, and are looking to grow fairly rapidly over the coming months and years. Of all the possible alternatives, Jet is probably the biggest standout. Formerly Buy.com, Rakuten is basically the Asian equivalent to Amazon. While it’s fairly easy to set up an account and sell on them, I’ve heard bad things from their vendors. They seem to only bring in minimal sales, which is even worse because their fees are pretty high compared to Amazon or eBay. Of course, this could just be hearsay, but I’d recommend doing some research or waiting until you have some experience before experimenting with them. Ubid is the most unique of all the marketplaces I’ve listed so far. It’s an auction style, similar to eBay. However, instead of getting paid the amount someone buys it for, you get paid every time someone places a bid. You could potentially earn $1000 for a $200 sale on an iPad. However, user beware; I’ve read a lot of reviews saying the uBid sellers are scams. While you won’t be scamming people, it may not be worth even being around potential scammers, lest you be clumped together with them and their bad reputation. That said, if you really want to avoid eBay or Amazon, it may be worth doing some more research about the company to see if you can be successful there. I’m going to move on to talk about product listings now, but if you want to look at more alternatives on top of the ones provided above, check out this article which provides a handy round-up of places you may consider. Regardless of which marketplace you choose to sell on, the small details in your product listing page are going to play a huge part in whether someone buys from you. Here are some tips for creating product listings that get more visibility and make more sales. I've ranked these in order of importance, so start at the top! A picture is worth a thousand words, as they say. Your product image will be the reason people click (or don’t click) on your listing, so it's vitally important that you get this right. Ideally, you need high-definition (i.e., large and clear) images that cover multiple angles and show the use of the product. An image of the front of the helmet, by itself, with a plain background (ideally white). Some images of people actually wearing the helmet, maybe riding a bike or skateboard. For bonus points, you could include a video. High-quality videos (even videos of a static image!) have been shown to increase sales. Pro-tip: Even if you can’t afford to hire a professional product photographer, you should still be able to achieve decent results with the right tools and equipment. Check out this guide that will help you to master product photography whilst on a tight budget! The title is the second most important thing to focus on. Together with your product images, your title is what will encourage people to click on your listing. It's also very important for increasing your visibility — particularly on eBay. There are a few key differences between what makes a good title on a platform like eBay, and what makes a good title on a platform like Amazon. To increase your visibility on eBay, you'll include "keywords" in your title. For example, you might list a bike helmet as “Razor V-17 Kid’s Protective Helmet For BMX Bicycle Bike Cycling Scooter Ski Skateboard”. Sounds kind of spammy, doesn't it? But this helps your listing show up when people search eBay for different things, like “BMX helmet” “Bike helmet” “Cycling helmet” “Scooter helmet” “Ski helmet” and “Skateboard helmet”. Ebay’s algorithms pay a lot of attention to the words in your title, and even though "bike" and "bicycle", or "children" and "kids" mean the same thing, they'll still give higher billing to a listing that contains the exact word that the customer searched for. So if you want to get your helmet listing in front of as many potential buyers as possible, you need to cram all those “keywords” in there — even though it looks spammy. Amazon, on the other hand, wants you to list to-the-point, descriptive titles without too many keywords. 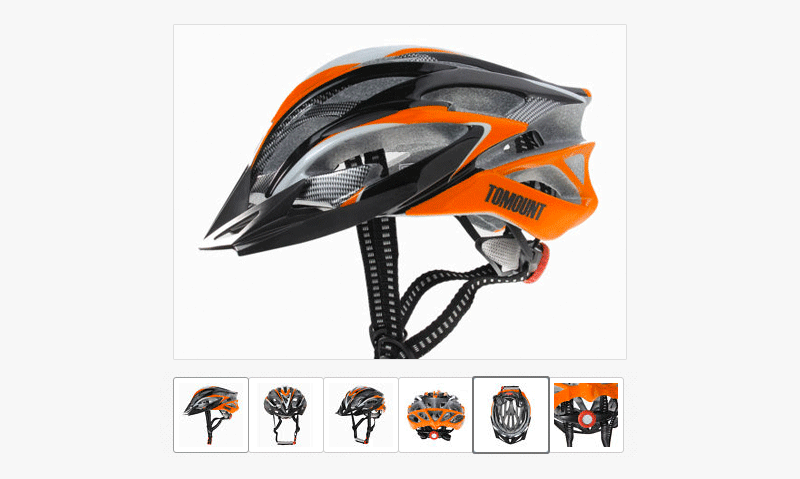 That same helmet might be listed as “Razor V-17 Youth Multisport Helmet”. Much more concise without the spam. Keywords are an important concept when you’re selling online, so they deserve a special box. Keywords are the words that you would like your product to appear in the search results for. For instance, if you’re selling running shoes you definitely want to appear when someone searches for “running shoes”. But you might also want to appear when someone searches for “sneakers” or “trainers”. Those are both words that mean roughly the same thing, and people searching for those things would very likely be interested in your product. Likewise in our previous example, the helmet you’re selling might be good for lots of different sports: Skiing, skateboarding, scootering, and cycling. You want your listing to appear when a potential customer searches for any of those things. So you include those “keywords” in your listing somewhere. The trick with keywords is to try to think like your customer: What might someone search for if they wanted to buy the thing you’re selling? Try to include those words in your listing. It means that you’ll get your listing in front of as many potential customers as possible. Don’t make your title or description look spammy (Although your eBay title, not your description, may look a little spammy). Try to include them naturally. Don’t focus on more than 2-3 keywords (eBay being the exception with 4-5 being ideal). Try to find the more specific keywords. Broad keywords like “shoe” will have way too much competition for you to rank for. Instead, go for something like “Women’s Dance Shoes”. Just describe your product and be specific! If you found a niche, you should have plenty of niche keywords to go from with little competition. Materials / technical specifications: What is it made out of? How big is it? What are the technical details that the customer should know? Keywords: You can also add keywords to your description to increase visibility. Add synonyms (e.g., bike, bicycle, cycle) and related uses (e.g., skateboard, scooter, snowboard) — but try to do it naturally so that it doesn't look fake and spammy. Bullet points and other formatting: Make your listing easy to read by breaking the features/benefits down into bullet point lists, using subheadings, etc. Pro-tip: to make your product descriptions more effective, create a buyer persona that will help you understand what your ideal buyer looks like. Apart from helping with your product descriptions, this will also help you tailor your other content (email newsletters, blog content, etc) and even fine-tune your product development strategies. 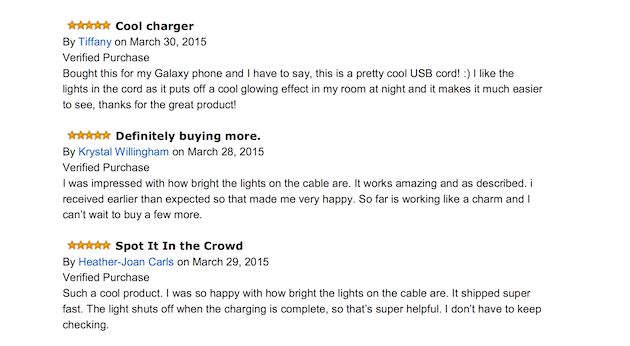 The feedback and reviews on your product listings are really important. Many online shoppers look at customer reviews when browsing product pages; in fact, 88% of shoppers say that they trust reviews as much as personal recommendations. Amassing an arsenal of reviews takes a while, so this is more of a long-term project rather than something you can tweak in an afternoon. But it's still extremely important to keep in mind. eBay and Amazon both automatically send them emails asking to rate or review their product purchase, but you can also increase your number of reviews by personally reaching out to your customers and requesting it, or by including a printed slip in your box reminding them to leave a review. Pro-tip: if you get a negative review, don’t just ignore it. Try to get it removed, or if you’re not able to do so, respond to the review so that your potential buyers can see that you’re responsive and open to customer feedback. It's true that everyone wants the best deal possible, and (all else being equal) a tiny price difference might be all it takes to make a buyer choose one seller over another. This is more true on eBay, due to their “used goods” nature; Amazon has a buy box, which I’ll talk about in the Advanced section, that matters more than price. But there's a reason I've put "price" down the bottom of my pile of tweaks. Before you get into a price war with your competitors and join the "race to the bottom", keep in mind that the other parts of your product listing (photos, description, feedback) can often trump small price differences. Certainly look around at your competition and get a feel for what your market is accepting, but try to use other differentiators to get an edge over your competitors before you resort to slashing prices. How to cope with competition? No matter how good you are at sniffing out "undiscovered" niches, there's a good chance you'll come face to face with some competition at some point in your selling career. When this happens you need to give customers a reason to purchase from you rather than your competition. As I said before, price isn't the only way to make yourself more appealing to buyers than your competitors. Sometimes a more detailed, comprehensive, or reassuring description can be the deciding factor for your buyer. In fact, sometimes a better product description can even enable you to charge more than your competitor. One of the girls in the office at SaleHoo has experience doing just that: She used to sell the exact same video games that everyone else was selling, but she was able to sell them at higher prices because she provided much more comprehensive product descriptions. Her customers simply felt more comfortable buying from her. So if you want to get the jump on your competitors, take a look at your competitors' listings, and see if you can see ways to improve on them. Are their photos crap? Take better ones. Is their description lame? Write a better one. Do they mention their guarantee/return policy? Mention yours. Does their feedback contain complaints about packaging? Improve your packaging. And if you really want to twist the knife, mention in your listing how safely and securely your goods will be packaged. Basically, spend some time analyzing your competitors' weaknesses, and then try to beat them. Even though your buyers might be willing to jump ship just to save a few cents, this can also be made to work in your favor: By adding a small bonus to your product, you can make your offer stand out from your competitors'. Think about it: If two different sellers were offering a wide-angle lens for your smartphone camera for exactly the same price, but one of those sellers offered you a bonus lens cleaning cloth with your purchase— you’d go for the one that offered you the freebie, right? Even though that freebie might not be worth very much. All else being equal, that extra little bonus could be the decision-maker for your buyer. Of course this tactic is hard to do if you’re drop shipping and you don’t get to personally handle your goods, but you could still have a chat to your supplier about whether it’s possible. Another benefit of making a “bundle” for your product: if you’re selling on Amazon it might also help you get into the coveted “Buy Box” (see below). 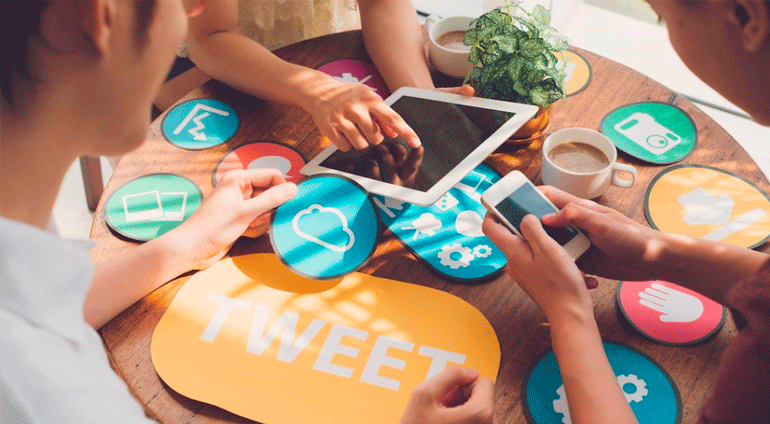 #3: Use other marketing channels to bring customers to you. The problem with marketplaces like eBay and Amazon is that it makes it so easy for buyers to compare your listing with your competitors. Buyers arrive at these sites with a "comparison mentality" — they're looking for the best deal. But what if you could attract buyers who aren't in that "comparison" state of mind? You can do this by using other marketing channels (like email or social media) to bring customers directly to you, rather than relying on eBay and Amazon to do your marketing for you. For example, let’s say I’m selling cat necklaces for cat lovers. I happen to know that my cat-loving audience tends to spend a lot of time looking at cat photos on Instagram. Because I know that's where my audience hangs out, I could have a cat Instagram myself where I post cat photos, and also promote my products for cat lovers available in my eBay store. The people I attract to my listings through this method are completely different from the people who would normally find my listings through eBay: The customers from Instagram have come directly to me. They haven't searched for "cat jewelry" in eBay. They haven't seen my jewelry stacked up against all the other cat jewelry out there. They're not comparing me to anyone else because I brought them straight to me. Likewise, you might create a Facebook page for yourself (but don’t just create it, make sure you manage and update it well). Or you might collect the email addresses of your past customers and email them directly when you add a new product to your catalog. Finally, you can search for influencers to find people to partner with on social media who have a large, engaged audience that would love your products. The trick is to find other ways of attracting buyers, rather than just leaning on eBay or Amazon. This is a longer-term strategy, but it's something to keep in mind. Another long-term strategy that will help you weather the competition is to build loyalty and reputation among your existing customers. Make it so that they have such a great experience buying from you that they would never consider buying from anyone else. I mentioned earlier that Amazon customers are often prepared to spend a little more on their purchases because they know and trust the Amazon brand. They know that if something goes wrong with their order (they choose the wrong size, or the order doesn't arrive) then Amazon will refund them without question. Aim to build the same degree of trust and loyalty with your own customers, so that even when they see your competitor offering the same product for a lower price... they'll still come to you, because they know everything will run smoothly. Where possible, try to delight your customers: I've seen sellers slip a few pieces of candy or a couple of stickers into each package. It's not a big thing, but your customers will remember! When you sell something that nobody else is selling, you cut out the competition completely. I'm not talking about finding a product that nobody else is selling yet — I'm talking about creating your own product. To sell a unique product, you must either invent something new, or improve upon an existing item. I’ve talked a few times about building your own brand and customizing your items; that idea fits in this category. For example, matcha powder has become incredibly popular lately. You could sell brand-name, already made matcha powder; or, you could sell matcha powder with your own brand name, like Hello Matcha did. Rather than selling an existing brand of matcha tea, they found a supplier who would give them private label rights (the right to put their own label on the product). Hello Matcha simply created their own logo and labels, gave these to the supplier, and the supplier dropshipped the newly re-labeled product to customers. Like wise, you can find private label manufacturers and manufacturer products of your own brand and start selling on eBay or Amazon. While Hello Matcha weren't doing this to sell on eBay or Amazon, private labelling your own product is a fantastic way to cope with competition in these marketplaces. There won't be anyone else selling the exact same product as you, so it will be harder for your buyers to compare you to other sellers. This is a step to aspire to, rather than something to try straight away when you're just getting started. Just keep it in mind as a way to eventually grow your business. Up until now we've been talking about strategies that broadly apply to whatever marketplace you might choose to sell in. Here are some additional things to consider that are specific to either eBay or Amazon. eBay is a different beast than Amazon for many reasons, but one of the biggest is their plethora of “upgrades” for your listings. Subtitle: This shows a subtitle under your main product title on the search page. More text means more attention to your listing, which means (hopefully) more sales. Bold: Bolds your product title on the search page. Again, standing out could increase clicks on your listing and, potentially, sales. Gallery Plus: Allows you to display a larger picture when shoppers hover over the item. This will allow your listing to stand out from others, and attract more shoppers. Featured Plus: Displays a larger picture when shoppers hover over the item (which is the same as Gallery Plus); on top of that, your item will be shown in the special Featured section above the general Picture Gallery in the search results. While these upgrades certainly aren’t necessary, they can be beneficial if you need a slight boost over the competition. Do take note, though, that what works for other merchants might not necessarily work for you. I’d recommend trying out the various options with a small budget rather than going all in on one particular upgrade because you’ve heard through the grapevine that it works the best. Kind of like running your own website, eBay allows its users to install store templates, which customize the look of your personal eBay store. Just be careful when picking a template for your store or listing: It’s easy to get carried away with the bells and whistles (and Comic Sans font) and have it actually hurt your chances of making a sale. Remember that you always want to look professional and trustworthy. I recommend keeping things as simple and clear as possible, and keep the focus on the product. As I mentioned earlier, Amazon’s Buy Box is very important. It is the box on the right side of the page where viewers can purchase their item. Only one seller can get into this box. Selling an item that no one else is selling. 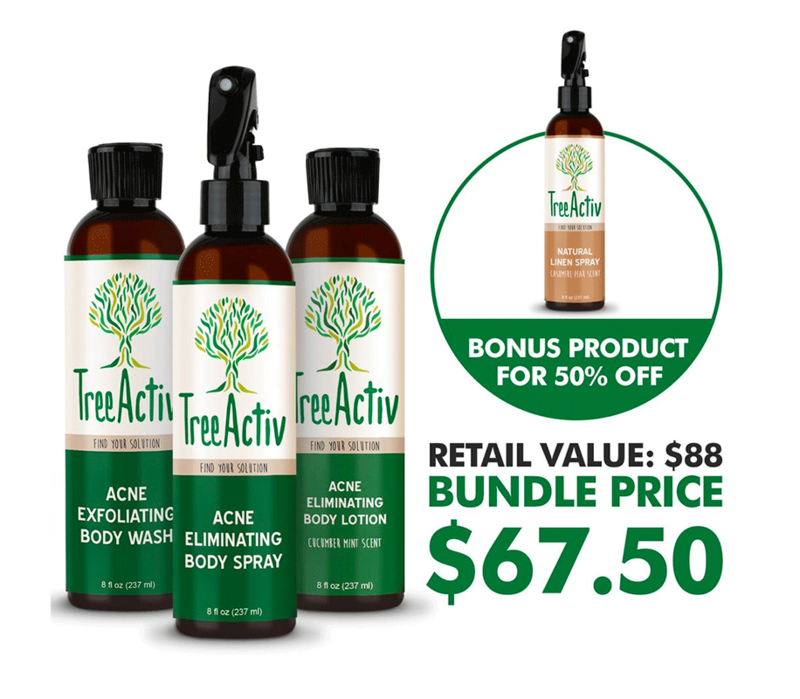 Selling a product that other people are selling, BUT adding something extra to turn it into a "bundle", which effectively makes it "unique". This last option can be a little hard to understand, so let me illustrate: Imagine you are selling a Nike shoe (not that you necessarily should, this is just an example). You’ll almost certainly have a lot of competition and it would be hard to get into the Buy Box. BUT! If you create a Nike shoe “bundle”, which includes the shoes and socks (or shoe cleaner, or something) then Amazon sees this as an entirely different product. So long as nobody else is selling the exact same bundle, you'll be the only one competing for the Buy Box, and you'll get in. Fulfillment by Amazon (FBA) is one of the biggest reasons to choose Amazon over eBay if you’re starting with a fairly large inventory, because it means Amazon can become your warehouse. Inventory is a huge pain to deal with (probably one of the #1 biggest headaches to online retailers), so if you can avoid storing and shipping your own inventory, do it. Keep in mind that your profits will suffer if you use FBA. Amazon charge you for every item they store and ship. Do your math and see if it still works out in your favor. If you need an overview of the entire selling process on Amazon, read our step by step guide here. You now have a much better understanding of the different marketplaces available to you, and hopefully which one you should pick. One option we haven’t discussed yet is starting your own web store — this can be a great alternative or supplement to selling on eBay or Amazon, but it deserves its own topic: for info on that, check out the next section, “Starting an Online Store”. You could also head to our “Dropshipping” section if you’ve decided you’d like to try that. Otherwise, go right to our “Online Business Basics” section to learn the last of what you need to know before starting and growing your new store!